New Zealand will not participate in next week’s Durban Review Conference in New York. New Zealand will not participate in the commemorative event in New York this month to mark ten years since the adoption of the Durban Declaration at the World Conference Against Racism. 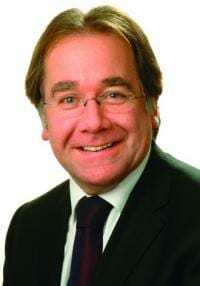 Foreign Affairs Minister Murray McCully said “New Zealand is fully committed to combating racism and we agree the UN should lead discussions on the elimination of racism. That is why we engaged constructively in the preparatory discussions in New York. However, in the end, the text is not one that we could support. “We remain concerned that the commemoration of the 2001 Durban Declaration could re-open the offensive and anti-Semitic debates which undermined the original World Conference. For these reasons, we have decided not to participate,” Mr McCully said. New Zealand joins a growing list of countries, including the United Kingdom, Canada, Australia, Germany, Italy, the Netherlands, Bulgaria, Israel and the USA, that have also indicated they will not participate in the event. New Zealand did not participate in the Durban Review Conference held in 2009.